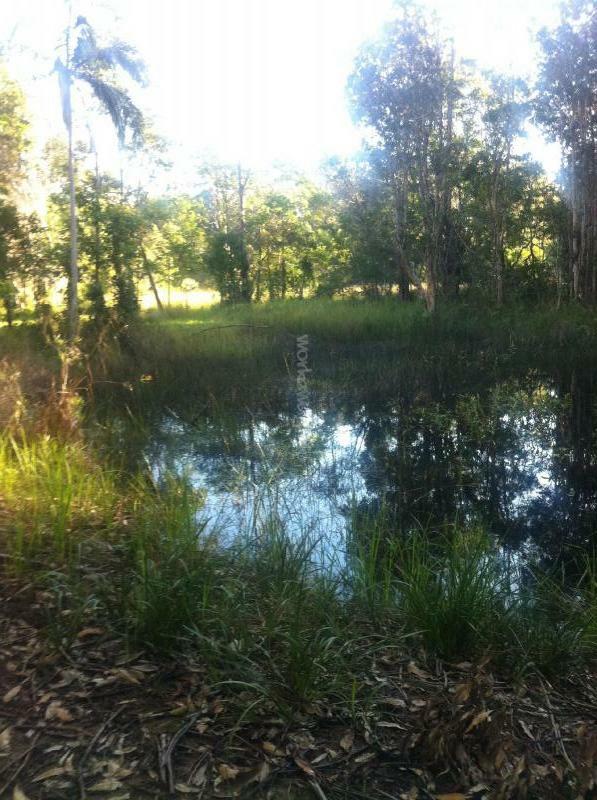 This is a tranquil & protected wildlife habitat set between the Eumundi Markets & downtown Noosa –– 15 minutes to the beach. We are the lucky custodians of what we regard as a rather special parcel of land. Since moving to Noosa in 2014, we’ve worked with dozens of wonderful workaways to create a private conservation habitat for native Australian plants and animals. 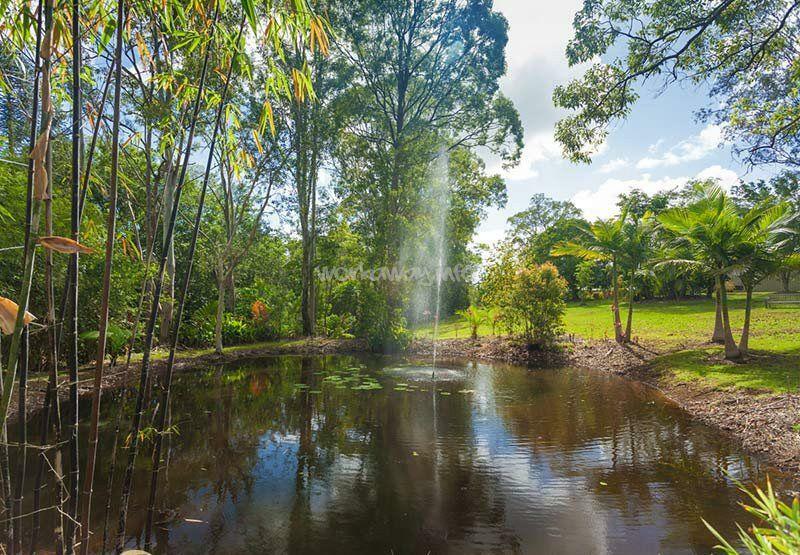 Our property is a long-term, large-scale family conservation project: I'm a multidisciplinary artist living and working on 12-acres of rainforest in the glorious Noosa Hinterland. My husband is a semi-retired computer consultant. He spends time indulging his passion for computers, boat building, woodwork, and fine craftsmanship. My daughter works freelance in her own business and lives here roughly half of the year to help manage the property. My son and 6 year old granddaughter also visit regularly from interstate and - if you’re lucky - it’ll be while you’re here! Our aim is to preserve the environment for future generations while also opening it up so that others can share in the quiet, gentle gifts the Australian rainforest have to offer. We wish to acknowledge the Gubby Gubby people, the traditional custodians of this country and recognise their continuing connection to land, waters and community. We pay our respects to them, their cultures and to elders both past and present. The atmosphere in our home is very calm, quiet and gentle. It’s perfect for travellers who enjoy yoga, meditation, gardening and other physically rewarding work. We provide healthy, mainly home-cooked and vegetarian meals, and we have a variety of gluten-free ingredients in the pantry for those who are intolerant. Outside of genuine food intolerances though, we’re not able to cater to highly specific food requirements, such as raw vegan and no-carb diets. It’s also not an appropriate Workaway assignment for people who are fasting or physically detoxing because the work is very active and you’ll need your energy. Please notify us of any dietary requirements you have at the time of applying, so we can do our best to accommodate them or highlight other places we know of that may be a better fit. A typical day here begins around 7am with breakfast and coffee, starting work by 8am. The work largely involves planting or pruning trees and shovelling mulch to help rejuvenate the native rainforest. It’s very physical, sometimes slow, but highly rewarding work. Rainy days usually involve spring-cleaning around the house. Sometimes we'll be working alongside you and other times we won’t, so a capacity to manage your own time and project is important. We’re always looking for someone who is self-motivated, shows initiative, is willing to take instruction, and who can work with or without supervision. We’ll usually discuss what needs doing on the first night and then write up a personalised list of tasks with instructions. After that, we largely leave it to you to work through your list during the week, but we’re here and happy to answer questions or provide more instruction at any time. Standard working hours are 8am – 1pm with a 15-minute morning tea break. This way, you’re finished by lunchtime and before the afternoon heat sets in. To work in the rainforest you'll need a sturdy pair of shoes (that you're willing to get dirty), a hat, and a long sleeved cotton shirt. Following lunch and a shower, you may like to relax in your room, enjoy the garden and pool, or head out sightseeing for the afternoon. We’re happy to drop you into Eumundi or Noosa (or the bus interchange if you’re heading elsewhere) and will arrange to pick you up later in the day. Please note: If you're interested in the Australian flora and fauna, the property is an absolute wonderland! But if you have an aversion to 'creepy crawlies’ it may not be the place for you. Because the property is a protected wildlife habitat, we expect our visitor to respect all the plants, animals, bugs and insects that contribute to the delicate rainforest ecosystem. This includes being mindful of noise and excessive light at night (which severely impacts the nocturnal fauna) and by not harming or killing any living creatures. We may have multiple guests at any given time, be it through Workaway or friends visiting from interstate. Other times, there may just be a couple of us here. Either way, we offer plenty of space and privacy in a quiet and relaxed atmosphere. You will have your own bedroom with a queen size bed and tropical garden views. You’ll have access to the main bathroom, which may be shared with one or two others. There’s plenty of storage space and privacy. Couples and friends travelling together on a joint Workaway account typically share a room. WIFI: Internet infrastructure in Australia really needs a revamp. You may have already noticed that WIFI access is quite limited in comparison to other countries, and data allocations are also limited. We offer WIFI for reasonable daily use, but not for downloading movies, streaming radio, etc. I am a Buddhist and practice daily walking and sitting meditations. I gladly welcome and send Metta to other Buddhist travellers who may be volunteering through Work Away. · Unfortunately, we’re unable to assist with second year visa applications or people needing to secure paid work. · We have reliable Internet for moderate daily use, but it’s not sufficient heavy use such as movie and music downloads, radio streaming, and the like. The property is a non smoking environment. Thanks to Charlotte Styles for the collection of photos and videos produced whilst she was here. Turtles, Marin, frogs and Water Dragons are just a few of the residents of the front pond. Rachael is the first Workaway to train up as a manager, where she did a great job overseeing household logistics and working with wildlife and other volunteers for 6 weeks. Rachael was a great fit as our first volunteer manager because she’s calm, funny, and diplomatic. 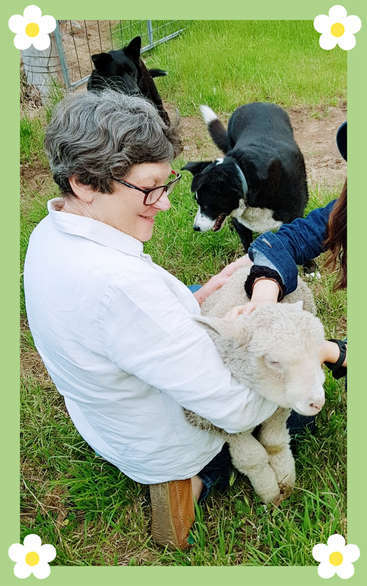 She helped finish some important, lingering projects (like our guest welcome… read more pack and project manual), and showed genuine care for all the projects, animals and people she worked with. In addition to that, Rachael also worked 2 days a week with a social enterprise that provides advocacy, training and business support to the local Indigenous community. Given Rachael’s background working in the social justice sector, it was a great match. She worked with the non-profit’s founding manager to design and implement a marketing strategy to drive one of their newest projects forward. Word from the team there is that she’ll be sorely missed. Rachael is smart, highly qualified, and great with people (including at managing up and down.) She has a range of skills and experience (including advocacy, training, and working in cross cultural contexts), which translated nicely to working in conservation and wildlife care. We could ramble much longer about what Rachael got done in her time here but save to say: if you get an opportunity to engage her – particularly on conservation or community development projects that utilise her specialist skills and experience – definitely take it. She was a delight to host and has become a valued part of our global family. Well where do I begin?! I was with Jana, David and Hannah for around 6 weeks. This was the highlight of my travels over the last 12 months. Jana and David collected me from Noosa and I was given a lovely warm welcome, I felt instantly comfortable and at home. It was lovely after travelling alone for a number of months. My accommodation was… read more beautiful and lots of food available for all different tastes and requirements. We all took turns in cooking which was lovely and made the experience all the more enjoyable. The work was great aswell, although it was hard physical work some of the time, it is totally worthwhile and you know you are doing it for a valuable reason. This experience is all the more rich if you have a passion for nature and try to live in an environmentally conscious way. I was able to help care for an release two wild baby bird whilst I was there, I found this so incredibly rewarding and will miss Louisa and Lolly. I also fell in love with Evie the cat and seriously considered hiding her in my backpack. If you are looking for some peace and quiet away from destructive influences on nature and love to be around and care for little critters then this is the place for you. I ended up staying at the house and on the grounds rather than going out as I loved it so so much. Although when I did venture out I explored Noosa national park, learnt to surf and went around Eumundi markets. All absolutely amazing places. This place is true paradise. Jana and David and Hannah are such wonderful, kind hearted, generous people and wish all humans were the same way! They were so refreshing to be around after spending 6 months in Asia working in animal welfare I had become a bit cynical! Its so lovely to be with people who have the same appreciated from nature and animals as I do and they are actively doing something to combat the terrible problems facing our earth today. This was truly a beautiful experience and I will hold it in my heart forever. I will 10000% be back and I can't wait. Thank you from the bottom of my heart for giving me this opportunity and hosting me. In the lovely week they spent with us, Carlotta & Frederico made a mighty dent in the amount of yard work here. They got stuck into mulching, pruning, and then moved dozens of heavy wood blocks so we could plant up a new area of the conservation sanctuary. That’s hard work in the height of summer but Carly and Fred had fun with it. They’re… read more energetic, upbeat and efficient workers, and a pleasure to host. We shared some lovely evenings together, including a couple of incredible meals they cooked for us, and we enjoyed getting to know them. Carly and Fred are a wonderful fit for Workaway and we welcome them back anytime. We had the pleasure of hosting Julie for a few days between the departure of family and holiday guests and the arrival of the first of our scheduled volunteers for 2019. Although it was only a brief stay, the tasks Julie was able to complete in that time were most helpful. There are always those pesky tasks (like cleaning areas around the house… read more and swimming pool) that seem to be put on the back burner, and 'regenerating' the conservation areas often seem to take priority. But Julie willing took on some of these more mundane tasks and we're so grateful she did. How easily forget that with the decimation of their natural habitat, our precious and endangered wildlife are struggling to survive anywhere and any way they can. This was brought into sharp focus for us during Julie's stay with us. We knew the wildlife live in very close proximity to the house and we do what we can to best assist with this close cohabitation. We try and keep lighting at night to a minimum and try to remember to provide easy access to clean water. 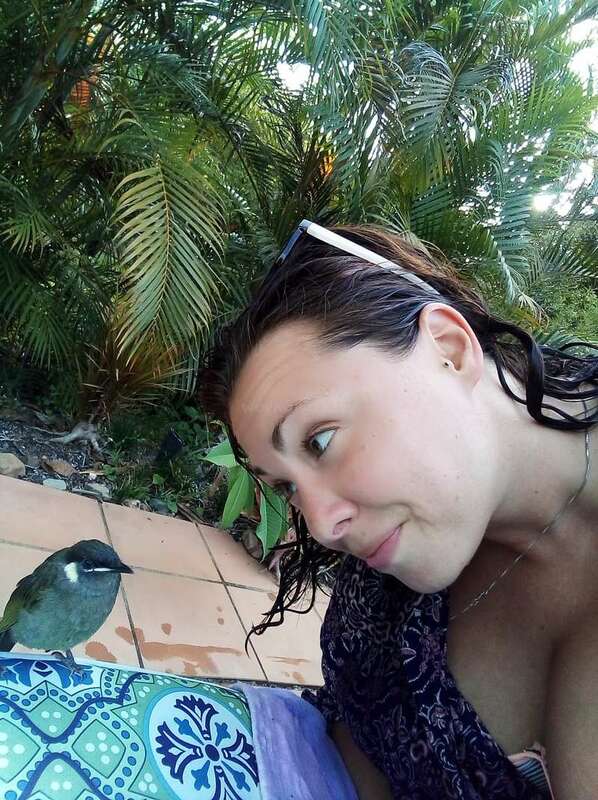 It was whilst Julie was scrubbing the pavers around the pool that she heard a faint 'plop', a sound most people wouldn't give a second thought to. But being a research scientist, Julie's heightened the awareness, calm demeanor and quick thinking kicked in and she rescued a little female Yellow Footed Antechinus that had fallen into the pool. After gently capturing her with the pool net, we were able to access and safely release her. The Antechinus would certainly have drowned if not for Julie. These little creatures are finding it difficult to survive. Their numbers are rapidly diminishing with the loss of their natural habit and the destructive impact from domestic cats. Julie's heightened awareness of her surroundings and her swift actions are indeed a timely reminder that our precious (and endangered) flora and fauna are all around us and we need to remain vigilant. We had the pleasure of hosting Ida for 10 days just prior to Christmas and thanks to her hard work and the extraordinary efforts she went to, our home and garden looked amazing for the arrival of our holiday visitors. The glowing comments other hosts have made about Ida are absolutely true. Shee's a fantastic Workawayer and a thoroughly… read more delightful human being. We would love to host her again one day. Jana and David were exceptional hosts; we were welcomed with open arms and kind hearts and have made wonderful friends for the future. Our 4 week stay included a range of indoor and outdoor projects which were enjoyable and fulfilling and always greeted with much thanks and praise. Food and accommodation was beautiful and we enjoyed our evening… read more meals and conversations. The house is a beautifully modern and open space with private lovely quarters for Workawayers. 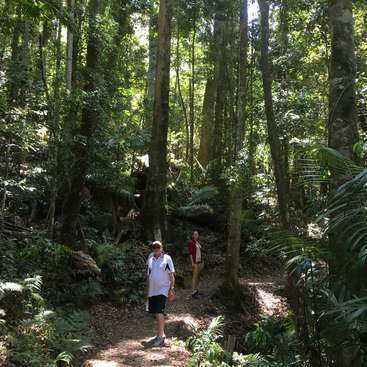 Overseas guests will be delighted by the natural Queensland forest with all kinds of indigenous flora and fauna. We thank you for hosting us Jana and David and look forward to returning in the future. Melanie and Lee are an effervescent, dynamic couple who helped us in a multitude of ways in the 4 weeks we were lucky to host them. 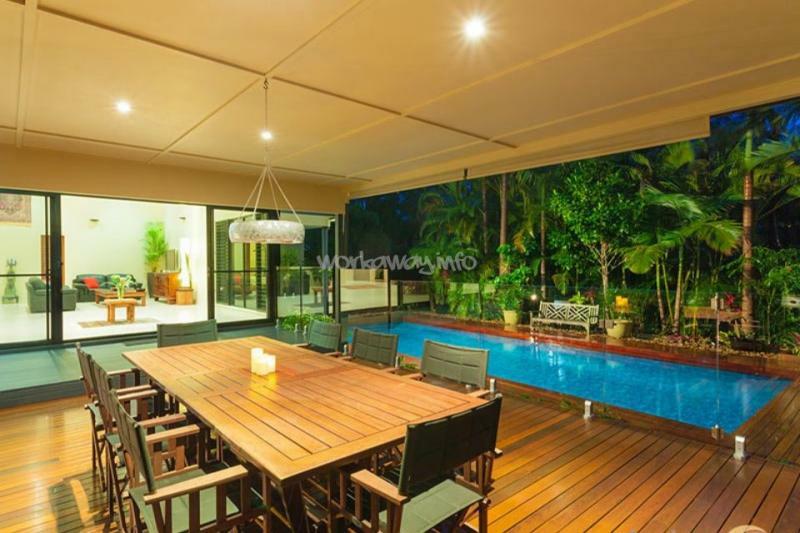 Given their vast experience building, renovating homes and landscaping gardens, they bring amazing ideas, insights and a highly professional work ethic to Workaway. They functioned more like seasoned property… read more managers than volunteers and we're delighted with the sheer volume of work they managed to achieve! We thoroughly loved spending time with them and recommend them highly. Stephanie's a beautiful, compassionate human being with a kind and gentle heart. We feel very lucky to have had this opportunity to get to know her. 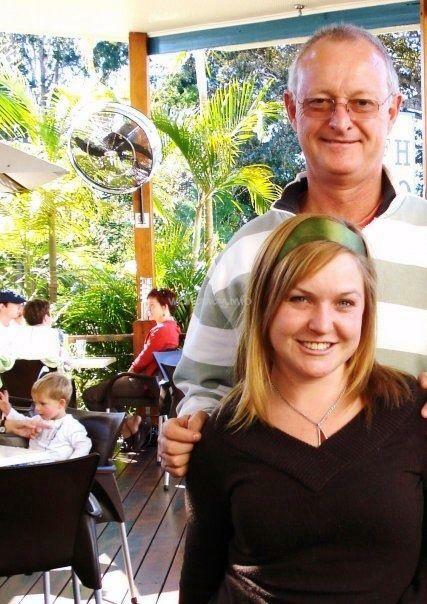 We've been fortunate in the past to have hosted wonderful volunteers, many of whom return two, three, even four times, but Stephanie's our first volunteer to have taken up residence in Noosa. This… read more has given us the opportunity to further develop our friendships and remain an active part of each other's lives. We love spending time with Stephanie and were thrilled to have been invited to a community performance she was participating in. As well as being a fantastic helper, Stephanie is generous with her medical knowledge. She has helped me better understand my own condition, and treatment approaches I was previously not aware of. Her advice has been invaluable. We loved having Stephanie volunteer with us and we treasure our ongoing friendship. This was my first work experience. If all of them were like that I would definitively recommend it. Because of the peaceful rainforest you get to rest and be introspective upon yourself but mainly because of the people living in the plumgorgeous rainforest. Jana and David! There are no words sufficient to describe them.… read more Caring, respectful, loving, amazing. The love Jana and David have for eachother it just makes your heart melt. David is a walking encyclopedia and very generous, he has all these loving facets you’ll get to know. 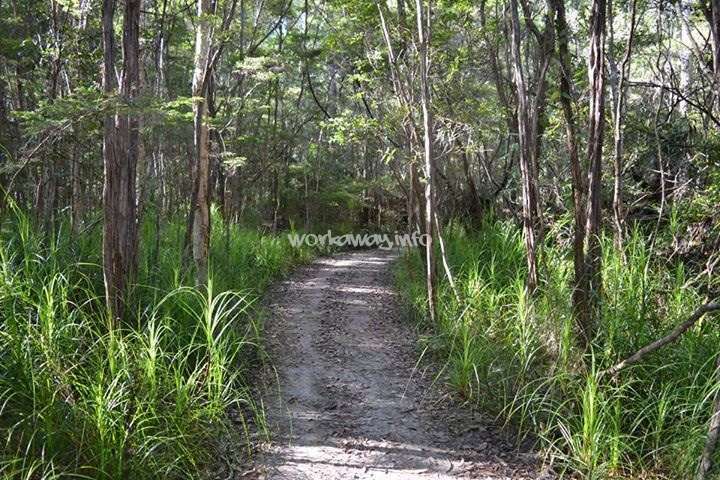 He is a lover of lookouts and loves taking you to that point which must not be missed in Noosa. Jana radiates love. She has become my master, she has taught me so many things about knowledge of life and what kind of life I want to live. She has become my rol model. I admire her. She is my inspiration of the women I want to be. They have given me so much love and I can say I felt I was living with family already. Plumgorgeous rainforest is an amazing place to work, as they say: “work in what you love and you’ll never work again in your life”, that’s how it felt with Jana by my side. The project is really inspiring I suggest you visit their website (put website). Work ranged from planting seeds, mulching, being in contact with the soil it clears one’s mind and makes you more in contact with your senses. The work is done during the morning and you’ll have a break to have some tea, cereal bar, fruit, energy smoothie or whatever you like. And then the afternoons are free, they offer to take to somewhere near for you to visit, Jana and David are very generous. But again I must say I have cultivated a unforgettable relationship with them. And I thank them for everything that they have taught and given me. Jana has introduced me to a lot of resources such as meditation and buddhist sayings and authors. It has been incredibly indulging. So if you want to surround yourself of golden life this is the place to go and work away!! Jana & David gave us the best first work away experience ever! We felt very welcomed into their lovely home and the project they are working on is truly inspiring. It was really good to be part of that experience for the week we stayed at Jana’s and David’s. The work was really enjoyable and we had flexible hours, so we also had time to explore… read more Noosa. We didn’t need to go out and explore everyday, because the rainforest is a place of peacefulness that is very relaxing on the mind. Also Hannah & Dan took us rockclimbing and shared some of their time with us, that was great. What a nice place to stay! We felt a bit sad leaving, but we left with a bunch of new good memories. Thanks again! What a fabulous couple! JJ and Marous were with us for a short time but they've had a huge impact in the rainforest and in our hearts. They're eager workers and certainly not afraid of heavy work. Despite putting in a hard days work, they were both keen to prepare some delicious meals for us. Their apple cakes and yummy Dutch pancakes were a big… read more hit. We're going to miss their company. We wish them the very best and hope they come back to visit some day soon. We really enjoyed to stay with Jana and David: they are friendly and gentle, always ready to help you with everything you need. We miss so much the genuine laugh of Jana and the clever irony of David. 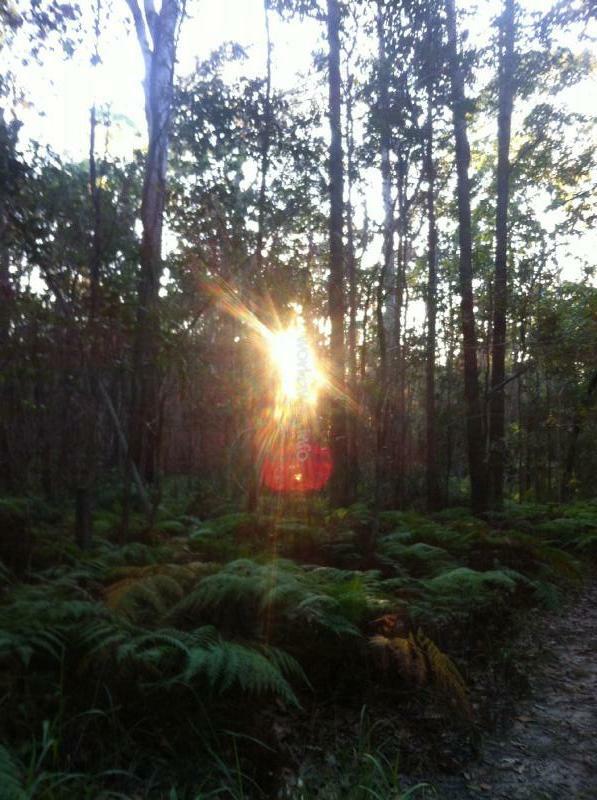 With them you can see another face of Australia, the TRUE rainforest and a deep love for nature. 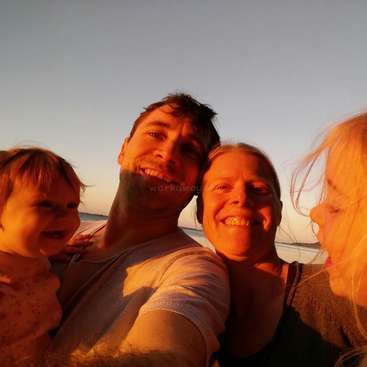 We are gratefull for this amazing experience; we… read more hope to be able to return back to see Jana, David and Hannah (and check the "bandicoot hole"!!). We thoroughly enjoyed getting to know Carlotta and Elizabetta. They’re a pleasure to host and their generosity seems to know no bounds. We’re hoping they will pop back for another visit before they leave. A friendly word of warning... if you challenge them to a game of Scrabble be prepared!!! These girls are highly intelligent and mastered the… read more game very quickly. Carlotta’s opening word was 7 letters. Elizabetta’s efforts were equally as fierce and well thought out. It was a great night. I was particularly touched by the commitment they made to ensuring the remainder of the planting we needed to do was completed before they left. Even on their days off, they chose to work. Their philosophy being...’we chose to come here to work and learn. This is enjoyable feels like a day off for us’. I’m so pleased they chose to stay with us and cherish our new found friendship. It was a pleasure to host Laura. Her time with us flew by and I wish she could have stayed longer. Laura’s a sheer delight. She’s a hard worker with very high standards and work ethic. I loved listening to her stories of home and we appreciated her willingness to share her professional knowledge with us. We all grew very fond of Laura and I… read more particularly enjoyed working in the rainforest with her. Laura also practices Vipassana meditation, so we a lot in common. Love and metta Laura and hopefully we’ll see you again soon. It was a beautiful experience. I spent around 3 weeks there ! Plumgorgeous family is just incredible, so warm and friendly. The project is very inspiring and the place is wonderful and peaceful. I felt part of the family inmediately. I learned a lot about Australian native species. Jana really inspired me, she is full of love and knows a lot about… read more different topics. She shared her knowledge about rainforest and life :) It was very nice working in the rainforest and sometimes you could see kangaroos crossing by. Hannah cooks amaaaazing and healthy food all the time and we had very interesting conversations. All my gratitude for all of you and again thank you for all the beautiful moments that we shared. Trevor was with us for three weeks and during that time he worked on the repair of a bridge in the rainforest. We were very pleased with the work he was doing and therefore we were surprised (and disappointed) when he left suddenly without telling us (or even saying goodbye) before his departure date and without completing the project. The core… read more foundation of the Workaway experience is firmly embedded in trust, honesty and clear lines of communication, sadly (and unbeknownst to us) our communication with Trevor obviously broke down. Trevor is traveling on a micro budget and is therefore quite anxious to secure as much paid work as he can. We endeavoured to accommodate his needs as best we could, including giving him an extra three days off in advance, so he could make the money he needed in order to continue his travels. We appreciate it’s difficult for young people trying to travel with little to no money, but trying use Workaway as stop gap measure is obviously going throw up unexpected problems, especially if the hosts are unaware of the volunteer’s financial predicament. We wish Trevor well in his pursuit of paid work and thank him for the work he did. I had the most amazing experience volunteering for Jana and David. I had the opportunity to start building a butterfly sanctuary for endangered species, plant my first palm tree garden and learn sustainable gardening techniques, which I will definitely use when I return to the UK. Jana and David really go out of their way for volunteers. On our… read more days off, they took us on a tour around the Glass House Mountains, which they didn't have to do, but they are such kind people and really care about travelers and their time spent in Doonan. We also had the opportunity to meet Jana's daughter, Hannah, who is a delight to be around, so many traveling stories to tell and great advice to give. Jana has a beautiful personality and welcomed me with open arms. Jana made sure we were well rested and fed, which by the way, her food is incredible! you definitely do not go hungry. David was amazing, he very kindly gave me lifts when I didn't it. He also has incredible taste in music!!!! Stephanie lights up the universe with her cheeky smile and enthusiastiic disposition but above all, she kind and generous to a fault. We’ve loved hosting Stephanie and are most appreciative of her hard work. Although young in years, India brought with her a mature outlook on life. We’ve loved spending our time with her and sharing the beauty of the spoken and unspoken. Cora managed to squeeze in a brief stay with us between her busy International Education program and we’re so glad she did. Thanks to her vast knowledge of arachnids, I can now tell the difference between a male and female spider! Cora’s a gentle soul with a sparkling future ahead of her. Thanks for all the hard work Cora and the best of luck for… read more the future. We had a fabulous time hosting Sam and Elsa. They’re everything you can hope for and more. I could wax lyrical about what makes them such great volunteers but I would be here all day. I strongly recommend other hosts book them in whilst you’ve the chance, you won’t be disappointed. We wish them the very best and hope to see them back here in the… read more near future. Thanks for every Sam and Elsa. Lee left us after a two week sojourn with us here at Plumgorgeous Rainforest Retreat and the word on the bush telegraph is there a two, baby magpies on soft release, who are eagerly awaiting ‘mama’s return. Lee’s polite, generous, hard working and reliable. As a result of her high standards and stellar work ethic, we achieved an enormous amount… read more in a very short time (both around the house and in the Rainforest). Lee’s a pleasure to host and like the baby magpies, we too are eagerly awaiting her return. I feel absolutely blessed that I was able to spend two wonderful weeks with this amazing family. As my first workaway experience, they’ve really set the bar high! I had a very hard time leaving this morning, and was only able to do so with a smile on my face because I know I’ll be coming back. I highly recommend staying with Jana and David. 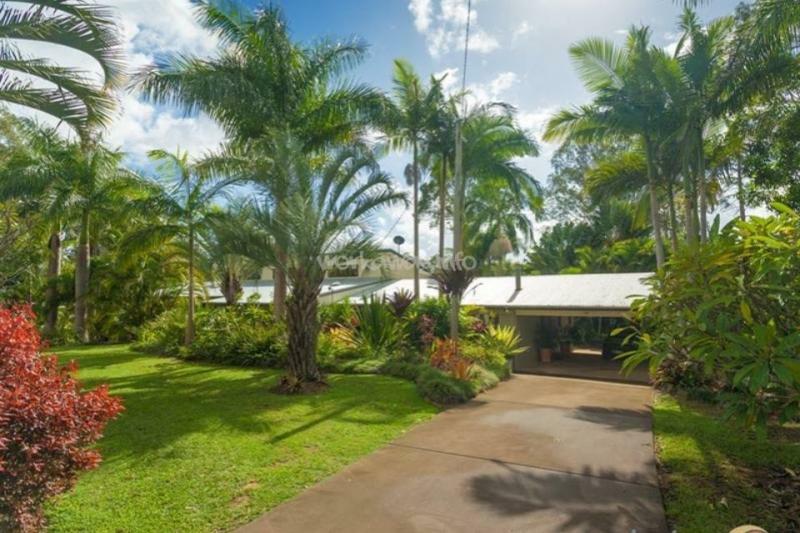 You’ll… read more have a beautiful quiet room on a private end of the house with your own bathroom and access to a tranquil deck and deep swimming pool surrounded by palm trees and flowers. You’ll get to spend the days learning about the upkeep of a private sanctuary (which includes planting and weeding, raking and watering, etc), and nursing back to health wildlife that have been injured or orphaned. On afternoons and days off, I could go to the beach or into town, or get a ride to the markets... or just read by the pool. I can’t imaging a better experience! Thank you, Jana- I look forward to coming back soon! Tilley and Oliver are the best of mates and a delight to host. They’re both highly highly intelligent, gentle souls, compassionate and mature for their age. They work well both together and independently. I was particularly impressed with their problem solving skills and willingness to ‘work things out for themselves’ when I took ill.
Tilley… read more even managed what I thought was impossible. With perseverance and her broad general knowledge she actually removed three particularly nasty heat marks on our Tasmanian Oak table. I hope we get the opportunity to host them again. Jana and David were our first workaway experience and we can't imagine a better introduction to the site! Our room was comfortable, there was plenty of lovely food and we were made to feel welcome as soon as we arrived and throughout our stay there. The house and surroundings are beautiful and Jana and David will happily share all of their… read more knowledge about the area and the wildlife within, along with tips on how to continue your travels - this continues after you leave and we have remained in touch with Jana and she has really made us feel that someone in this country so far from home cares! She has offered advice and helped us shape our plans and we are very lucky to have had this introduction to Australia. We really hope this isn't the last time we meet them and are so grateful to them and feel so lucky to have met them. Much love to you both! What lovely people! Jana, Hannah and David could not have made my last week more enjoyable if they tried (and they most certainly did!) Their home is vast and open, as are the family, and coupled with a near Aussie jungle for a back yard it's the perfect place to wind down and appreciate nature and time to yourself. I felt very loved and spoilt,… read more and the work I did very appreciated. Thanks for everything! Luisa and Joel are worth their weight in gold! They’re both highly skilled and successful in their fields, and their enthusiasm didn’t waiver once in the three weeks they were with us. They ploughed through their work, without much supervision, and created three beautiful new feature areas in our garden. They have a great work ethic, working… read more effectively alone or as a team. They also show great initiative, like when they jumped in to fix some fallen pipes in our greenhouse (which, until then, we'd been unable to find an effective solution for.) Luisa and Joel are genuinely interested in learning about Australia’s hotspots, environment and wildlife, so they were out and about in their spare time. And they were a delight to have around while they were here. We loved having them stay with us and recommend them highly to other hosts. We had a very nice week with Jana, David, Bella, Betty, Sasha and all the wonderful wildlife around. Jana cooks very nice meals and both her and her husband David are a pleasure to be around. Very nice enjoying dinner and listening to the record player in the evenings. Jana and David are very gracious with their rides to town and around the… read more area. I helped place cardboard around the land, cover them with logs and then cover them again with mulch, to slow the water when it rains and floods. I quite enjoyed the work. Anna cleaned the house, weeded around the deck and helped with the mulching when she was free. The work schedule is 8-1 every day with two days off. Evenings to relax. Clean facilities and bikes to use. Ended our weeklong stay abruptly with an inappropriate public display of affection in the house. Wishing the family at the rain forest conservation center happy days and harmony in the days to come. Cat and Tim are excellent workers, they're kind, easygoing, considerate, and a pleasure to host. We thoroughly enjoyed their company and are looking forward to hosting them again one day. Thanks Cat and Tim. Jana and David are lovely people and have a truly amazing property. Cat and I weren't expecting their house and land to be as big and beautiful as it was, but everyone is stunned when they visit. Working in the garden is An amazing experience on its own as it is so beautiful and different to anything I've ever seen. Jana works you hard, it isn't… read more easy, but it's very rewarding and she definitely gives you enough 'fuel' to keep you going! Then with your time off Jana and David are incredibly generous with their time and were always available to drop us into Noosa and the national park which was great. David is a really nice and knowledgeable man, great for a conversation. Jana is a wonderfully warm woman and has a great sense of humour. We had a lovely week and are desperate to visit again. I would highly recommend to everyone! We've had a wonderful time hosting Etsuko and are sad to see her go. Etsuko has been with us for a month and has achieved a lot. Over the course of cruisy mornings she quietly and elegantly refreshed and reorganised almost the entire house, leaving us breathing a sigh of gratitude with every cupboard or set of draws we open. She works methodically… read more and weaves magic, and was a pleasure to welcome into the family. Jana, Hannah and David, thank you for everything. It's my precious memory to stay in paradise with kindhearted family. I stayed here for 25 days and my role is cleaning. They explained clearly and praised me with happily smile. It's my first workaway experience so I had some worries but they smiled it away and hugged me. I love my room and amazing… read more food. They made me comfortable and happy. It's difficult to explain how much do I appreciate but now I can say...They are legends! Nils made a seemless entry into our Workaway family. He's funny, considerate and sharp as a tack, with a great work ethic. We accomplished a lot in the month he was here and we loved that he came to visit again for a few days to introduce us to his mum during their brief Australian road trip together. A beautiful family and welcome back here… read more anytime. Staying here was an absolute delight. I'd call it a slice of paradise, but the place is a full paradise on its own. The atmosphere - created by nature and its inhabitants - is very soothing and you'll often forget you're actually working. I met David, Jana and Hannah, as well as Jake and Bell, and they were all a treat to spend time with. I got to… read more learn lots about Australian (and from elsewhere) food, sports, music and hospitality. One of my favorite things here was meeting all sorts of animals: insects; spiders; kangaroos; humans, and so much more. The work here was varied, engaging, fun and satisfying. Time flew by, and once work was done for the day there was tons to do and, if you're like me, it's a great place to relax and light a joi.. listen to some music. I love it here and I think you would, too! Thanks so much, guys. Can't wait to see you again! Louisa's a gem. She's a strong, hard worker and a delight to have around. We're looking forward to her return in a year or so. They have a really nice place, the property and the house are just stunning! I could have stayed for many more weeks, it was a pleasure! And I promise I'll come back when I'm in Australia the next time! It was my first… read more workaway and I couldn't have had a better experience than that! I loved it, I already fell in love with that place just when I read the profile, and this paradise is just how you think it will be! The work is good and fulfilling, you'll see what you've done and Jana will remember every spot you worked on :-) The people are lovely, funny and open minded! The chats are always interesting and fun! And the food is just beautiful! Julie is an absolute delight and was a pleasure to host. She's not kidding when she says she's fit and enjoys rolling up her sleeves and getting into it. She managed to achieve an enormous amount in the 10 days she was here. A week after she left, I was still noticing the myriad of jobs she'd taken upon herself to do. Pleasantly surprised and… read more chuffed doesn't begin to describe the warmth and gratitude I feel towards her. Once every twelve months or so the bamboo screen beside our greenhouse need pruning. It's a daunting job and definitely NOT something people normally 'choose' to do. But Amelie did and she worked away at it until it was completed!!! It's HARD WORK and I'm in awe of the strength and tenacity she demonstrated in singlehandedly tackling and… read more completing this grueling task. We enjoyed Amelie's company and its a shame she couldn't have stayed longer as I enjoy her company. Thank you Amelie, you're a champion! 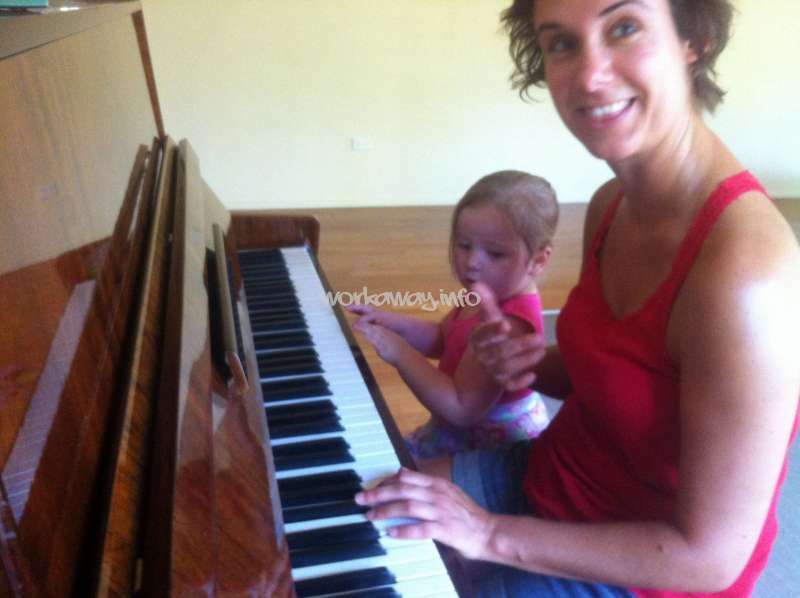 I stayed with Jana and her daughter Hannah for one week only, but I could definitely have stayed longer. Hannah and Jana are open-minded, generous and interesting people. They are always happy to give you infos about the area and to show you the surroundings. I really enjoyed working in the beautiful rainforest. My trip on Australia has been… read more enhanced by this stay and I know I will remember everything with a smile. Thanks to Ellie and her incredibly hard work, I now have the most beautiful, lush, tranquil little meditation garden directly opposite my bedroom! I wouldn't have thought it possible to turn what was previously a neglected plot of soil into such a stunning (wheelchair accessible) meditation space. Ellie worked tirelessly to make this happen.… read more This is a deeply personal, priceless gift that's she's created for me and I can't thank her enough for the hard work and effort she put into making this happen in the short time she had with us. I was a remarkable feat and one she can be very proud of. We loved spending time with Ellie and to getting to know her. She's mature beyond her years and a throrough delight. I feel certain that any other hosts who are lucky enough to have Ellie stay will be richly rewarded. "One of the nicest human beings God ever put breath into". It was truly a pleasure Hosting Yvandi and John and feel very sad we only had two weeks together. They're such hard workers yet seem to make everything fun. John's music was a most welcomed additional bonus. I loved listening… read more to him playing his guitar and violin and was delighted when he ventured up to the other end of the house to play our family piano. Their kindness and generosity seemed to know no bounds. We felt humbled and felt very spoilt with the 'surprises' they managed to spring upon us. Their home made gifts are highly treasured. We sincerely hope to see them again when they next visit family in Australia. We can't recommend them highly enough. Thank you Yvandi and John for your sirling contribution and the gift of friendship. We were so privileged to spend 2 (short!) weeks with Jana, David and Hannah on their amazing property. They are such wonderful, warm people and it was a pleasure to be in their company. We effortlessly blended in with family life, and felt right at home from day 1. 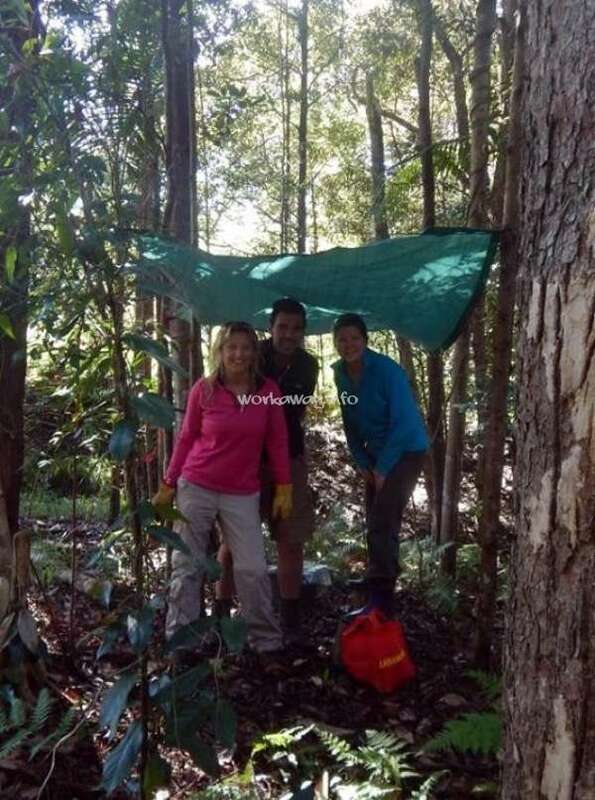 We really enjoyed the work outside, and it was certainly a rewarding… read more experience working in the rainforest. We loved every single minute of it and were treated like family and incredibly spoiled! Jana has an amazing ability to whip up a three course meal in 20 minutes and always amazed us with her freshly baked treats! They were always willing to take us sightseeing or drop us off where we wanted to go but we fell in love with the property and the forest and we ended up spending most days there. We did not want to leave and promise to be back for a visit the next time we are in Australia. Maddy and Chloe are top quality in every sense, and we loved getting to know them. They're a dynamic couple, great workers, and bring creative flair and initiative to everything they do. They're true artisans and beautiful people - an absolute pleasure to have around. Sometimes it's hard writing feedback, especially when it comes to writing about someone as special as dear Emma. I could wax lyrical about what a great worker she is. How she's self motivated, helpful and competent both inside the house and out. That she has excellent organizational/ time management skills and that her experience in advertising… read more came was greatly appreciated as she was able to plan and 'mock up' some greatly needed promotional material about our rainforest sanctuary. But to be honest, sharing Emma's company was the highlight for us. Emma's like a breath of fresh air and we loved spending time with her. We look forward to seeing her again some day soon. What a lovely couple! Friendly, easy going, great workers and so respectful. Despite a childhood fear of spiders, Leonie didn't let that stop her. She rolled up her sleeves and got stuck in. Both Matti and Leonie were quick to embrace our lifestyle and environment. It was such a pleasure for us to see them enjoying themselves so much and we're… read more hoping to host them again someday soon. Thanks for all your work. To stay with Jana and David was the best choise we could make! At the first moment we felt like a part of their family and had a lot of fun with them. Jana and David are such a lovely couple and ot was a pleasure to stay with them. They allways cared about us and spoiled us with good food. We also enjoyed the work in the rainforest which was never… read more too hard. In our freetime they drove us to Noosa or did a good conversation with us. Unfortunately we had to leave after only one week. There is so much to explore that the time would never be enough. Thank you so much for everything, hopefully we will see us again! We've never laughed so much! Jess is charming, funny, clever, witty and on top of all that, she's an excellent worker! I was particularly impressed with her attention to detail and her ability to see jobs through to an extraordinarily high standard, a rare skill in this day and age. Jess can work 'fast' if that's what's required but given the… read more chance to work at her own pace is when she really come into her own. I've had my car professionally detailed in the past but the job Jess did was far superior. We loved having Jess here and we're sad she couldn't stay longer. We miss her smiling face and magnetic personality. Jana, David and Hannah go out of their way to accommodate you in their home! They make you feel as if you are on a beautiful holiday with good friends. The work I did was minimal, catered to what I was comfortable with and good at and very appreciated. The opportunities that they suggested and provided in order to truly experience their pocket of… read more life in the Sunshine Coast were thoughtful and enjoyable. Their home is a peaceful one and I felt a great sense of calm walking around their rainforest and listening to the birds. Everyone should go here! Tim and Steph are simply outstanding - easy going, self starting and hard working. We can't recommend them highly enough! Jana, David and Hannah are the most kind hearted people you will meet. It was such a joy to be able to call their home my home for three weeks (two weeks longer than planned! ), and to consider them my family. They live in a little pocket of paradise, which makes any job a pleasure. Work varied from being outside in the garden and rainforest to… read more helping in the house. There is always something to be done, but a peaceful evening with good company, great food and a glass of wine awaits in the evening (or afternoon!) . It's hard to do justice in words for what a wonderful experience we had staying with Jana, David and Hannah. We were so welcomed and given such a beautiful room and bathroom. This is a social household and we loved sharing tasty meals with the family and relaxing after a busy day together with Sasha the cat and Bella, Hannah's little dog. The… read more rainforest is something else, an absolute paradise and will suit anyone who loves nature looking to get away from it all and willing to get stuck in with a whole variety of outdoor tasks. Jana was great at offering us jobs that we could take on as our own projects and giving us the freedom to manage ourselves. I really think they offer an excellent model of the best workaway scenario, beautiful setting, respectful hosts who inspire visitors to embrace their way of living yet allowing us to offer something of ourselves to build on their vision. We had so much fun and made great memories, we very much hope to return to see how lover's copes is flourishing! Thank you guys, we miss you!! My stay with Jana, David & Hannah could not have been more perfect. They have a lovely home situated smack in the middle of the most amazing rainforest. There were huge windows overlooking a beautiful pool with fantastic views of the surrounding forest. This location is special and from day one they made me feel right at home. The work was… read more varied and most invigorating with Jana and David allowing me total freedom to complete projects at my own pace. I joined David and their amazing daughter Hannah on a working road trip that resulted in my seeing more of the Austrialia coast and countryside than I'd ever imagined....spectacular!! Their property is designated as a registered Conservation area, as special and diverse species of wildlife can be found throughout. Future Workawayers should be aware and treat this property with kindness. I joined a family of loving, kind, funny and truly genuine people and left knowing I was saying goodbye to special friends. I can only say thank you again for the incredible hospitality, our nice talks, watching awesome rugby matches and the great stay you made possible for me. I hope to see you again next year. We invited James to come stay because, from his profile, it seemed like he'd be a good fit. We're glad we did because he's been a fabulous help in the garden, the workshop and most especially with packing up and moving furniture and boxes interstate. We really couldn't have done it in the time we did without him. James is a reliable self-starter.… read more He has an easy going, fun and generous spirit. He's funny, has a great work ethic and we just loved hanging out with him. We're look forward to him coming back next year to help David with boat building. Really can't recommend him highly enough. We loved having Ellie and Emma stay with us and we're sad to see them leave. They 'worked' with Isabella, our 3 granddaughter, assisting her in the planning and development of her very own Rainforest Garden. They transformed an overgrown (weedy) section on the fringe of the forest into a 'native' children's wonderland. Isabella is smitten and… read more still asks to speak to them when she phones Grandma's house. They were great sports getting into Isabella's 3rd birthday party. I'm also grateful to Ellie for designing a gentle yoga regime for me. We look forward to their next visit. We came to Jana's not sure exactly what to expect. We felt like family the minute we came through the door. Jana, David and Hannah were so welcoming, they made sure we were very comfortable and had everything we needed. Hannah took us into the market and we did a few walks around Noosa who is a lovely place! We learnt so much from Jana about… read more gardening, and about kindness! The work was very rewarding. Most importantly, we all became close and hope to remain friends! I had such an amazing time in this tropical paradise! Jana and David looked after me so well, I really felt like one of the family! From helping Jana build her meditation walk, to cutting grass and floodproofing 'corregation street' I had an amazing stay here. Could not reccomend these hosts enough, healthy living and happy people ! I will be… read more back some day! :) :) :) :) :) :) Matt Allan is a walking advertisement for Workaway . He's hard working, self-motivated, creative and full of initiative. This is in addition to a great sense of humour and a wonderful positive approach to life. We cannot recommend him more highly!!! It's been an absolute pleasure hosting Taryn. It's hard to believe our time has ended already. The days flew by and the amount of jobs she seemed to complete, with little to no effort and in record time, still has us reeling in disbelief. To say Taryn is a hard worker would be an understatement! Not only does she get jobs done, she does so with… read more a gentle and very cheerful determination and pleasant disposition. Taryn's has extraordinary organizational skills for someone her age, she's not afraid to take on challenging tasks (like ridding a major section of rainforest of umbrella trees, - single handedly felling the trees and tending to the stump eradication). No one expected her to completely rid the WHOLE property of this noxious weed in the short time she was here, but that's exactly what she's done. She put her mind to it and worked steadfastly to achieve that goal. We can't thank her enough for the contribution she's made to our Sanctuary and our visitors. I've no doubt other host families will equally impressed and delighted with Taryn. We wish her the very best for the future. Dear Jana, David and Hannah you were the most beautiful thing that could happen to me as I made first contact with the wonderful country of Australia. You all are marvellous, warm and intelligent persons. It was a great pleasure to talk to you about wide variety of topics for hours completely spontaneously. I would like to highlight australian… read more rugby and cricket (we know who is the the best David, don't we), the lovely poetry of gardening and real artist of life - Jana and simpatic Hannah whose knack for traveling is amazing. There wasn't also any lack of enviable spiritual heights reached through our conversation. 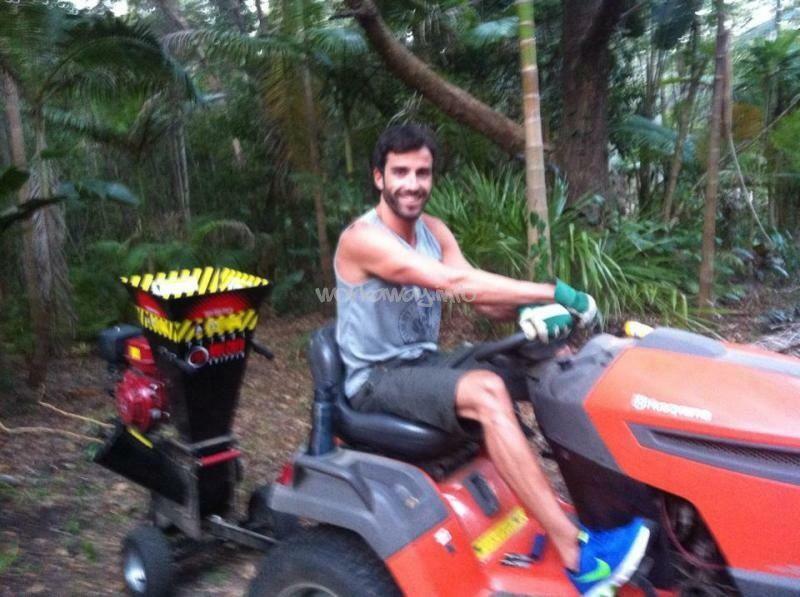 Work in your tropical arboretum was something special in spite of the peak green season. Last but not least thank you for your patience as my English teachers. There is a special place in my heart for you all and I am looking forward to meeting you again. Greetings to my Sasha. Brooke is a hardworking, upbeat and bright woman with an infectious laugh and fabulous stories. She's easy going, reliable, and a joy to have around. We learnt so much from her! Best of luck with your next adventures Brooke, we look forward to meeting up again soon. We can wholeheartedly attest to the glowing attributes the other hosts have listed. Alex is indeed an incredibly hard working, considerate and compassionate human being. Alex is an absolute delight to host. What was to be a five day stay with us, ended up being four weeks. This could easily have been much longer had he not been offered a job… read more in another state. Alex leaves with our love and very best wishes and we look forward to meeting up with him again one day. Anita and Andrea came to us after their planned accommodation 'fell through'. How lucky were we! They are two of kindest and most hard working people we've ever met. It seemed there was nothing they weren't prepared to do. They cut down copious amounts of bamboo, planted out a large family vegetable patch and sorted out my books and… read more established the beginnings of our household library, something I'd been wanting to do forever. We loved listening to Anita and Andrea talk about their homes and life in their small village in Austria. David and I were deeply touched to be given a beautiful little Austrian cookbook as a Host gift. Totally unnecessary but greatly appreciated. I hope they visit us again one day. Thank You for hosting us although we had cancelled to stay with you. You made our journey to a special one. The work was good and we had enough time to explore the surroundings. We really enjoyed having Gaynor and David stay with us. They were friendly and considerate guests, and a 'dynamic duo' in the garden - David resurrecting the long-defunct sprinkler systems in many a garden bed, and Gaynor trimming planting and mulching, and then helping in the house and kitchen. It was also great to be able to share their… read more experience running a B&B. 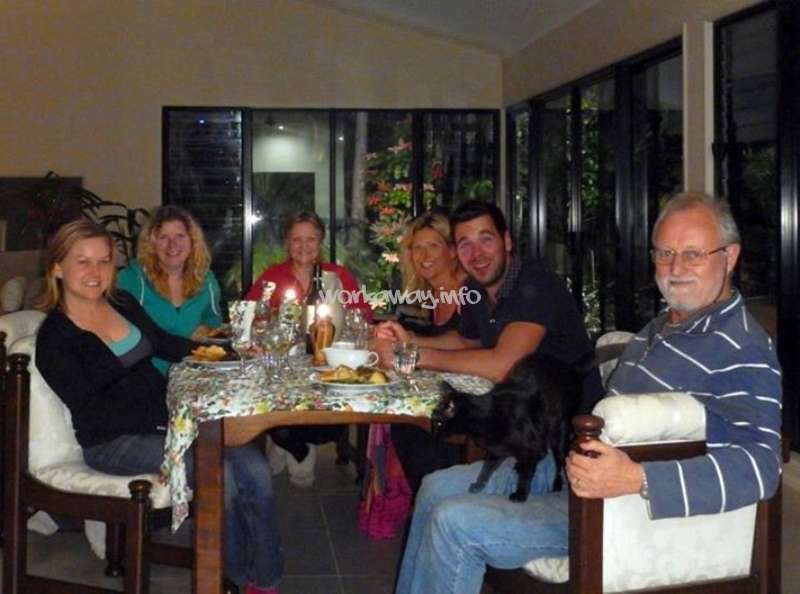 We are so pleased we invited Gaynor and David to stay with us, and we highly recommend them to any Workaway host. I absolutely loved my time with Jana and David! They live in a beautiful part of Australia and make you feel at home from the start. They are very easy going and relaxed and want you to enjoy your stay. which I did! The work wasn’t hard at all and I was able to do various things: restoring two garden benches, helping in the house, weeding in the… read more garden, playing with their adorable 2 year old Grand daughter. This was my first experience with Workaway and it couldn’t have been a more perfect one. Thank you Jana and David! Matias is a quietly confident, gentle, highly intelligent and well travelled young man with an infectious zest for life. From the moment he arrived it was clear he intended to 'completely immerse' himself in the work and our lifestyle. We thoroughly enjoyed the having Maty here. He's a hard worker who genuinely cared about doing each task to the… read more highest standard possible. Maty was very keen to learn more about the steps we're taking to protect the local, endangered Koala community and it was particularly touching to observe him after dinner, taking night walks through the property in order to log nocturnal the koala activity. It was hard to say goodbye to Maty and he will always be welcome here. There's no words to describe my experience with Jana(Mum),David(George),Hannah(sister). "Excellent" is also little..Just I will say it was the best experience,with the most beautiful human beings I've ever met..Love,laugh,peace,nature,respect,and positive energy are some of the things that you will find with them,and when that is mutual become… read more magical.. Thanks for every second you all let me enjoy in such a nice place,for being so generous,for treating me so well,for making me feel part of the family..
Vinny stayed with us for nearly 3 weeks. He is a personable and courteous young man. We were lucky to be able to use his skills to build an office in our shed - something I would not have undertaken on my own. Vinny taught me a lot and I am delighted with the result. Vinny works hard and is a perfectionist - sometimes he needs a little push to… read more get out to enjoy himself and experience the country! We wish him all the best in his Australian adventure. 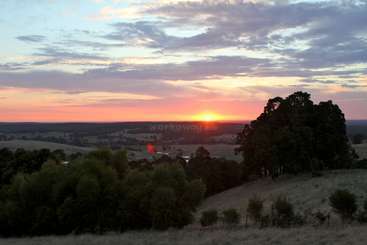 Join our family farm in Kyneton, Australia. We are only 1 hours North of Melbourne!